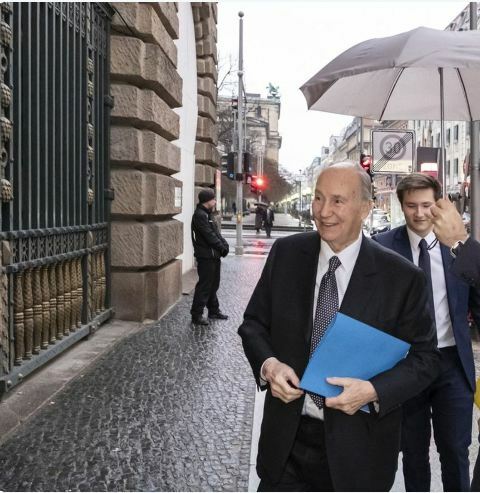 Berlin, Germany, 15 January 2019 - His Highness the Aga Khan today emphasised three essential ingredients for stability and effective development in fragile contexts: a focus on local communities, a commitment to pluralism and the importance of a strong civil society. 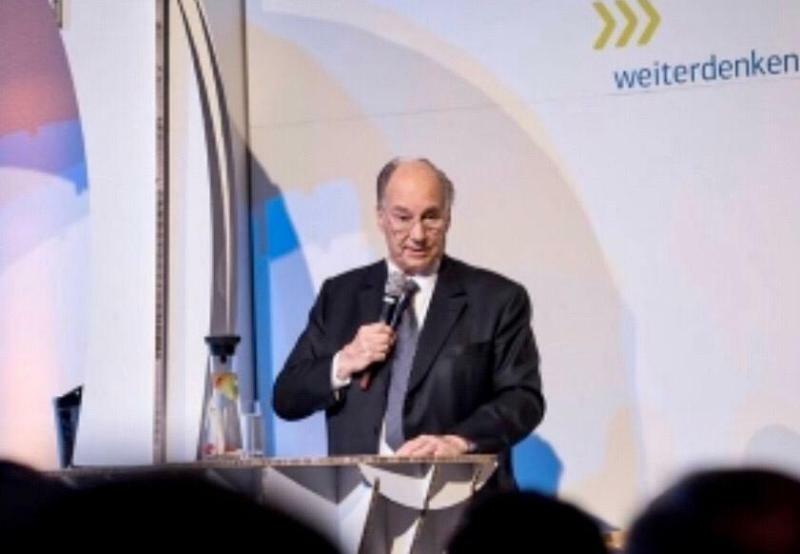 The Aga Khan was speaking at an event entitled, “Fragile States ‘Weiterdenken’(‘Thinking Ahead’) – Utilising Experiences from Stabilisation Measures for the Future”, which brought together leaders from the Aga Khan Development Network (AKDN) and German development partners. Concentrating at the local level. When national conditions are not favourable – as is often the case in fragile or conflict situations – the most meaningful, and quickest, change can often start locally, building credibility and confidence more quickly. A commitment to pluralism is essential. Consultation must be wide and everyone present in a community must benefit. Civil society, which AKDN refers to as private organisations designed to serve public goals, is of utmost importance. Such institutions can be stabilising factors and points of continuity when security is fragile and politics are volatile. 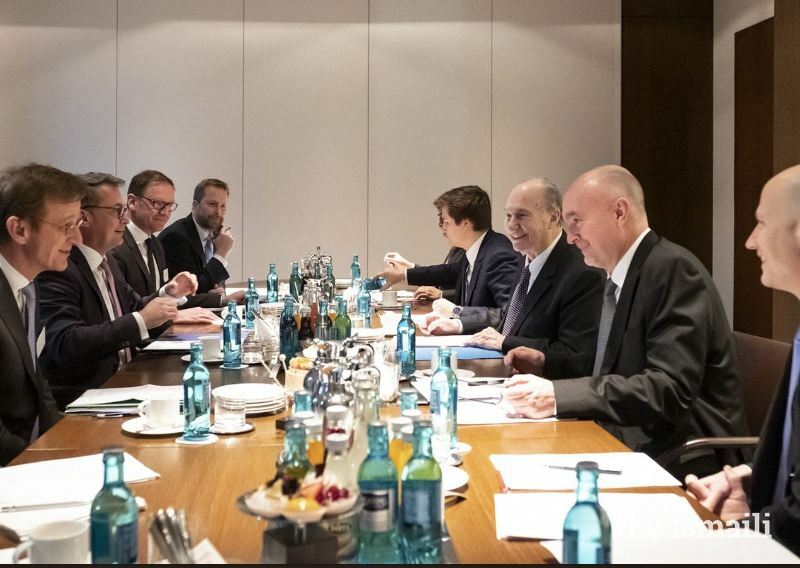 The Aga Khan commended the longstanding partnership of the AKDN and Germany, recognising their shared commitment and achievements in Afghanistan, while also drawing upon the hallmarks of AKDN’s approach. He also reflected on lessons that would be applied in other situations of fragility and crisis. Over the past 25 years, Germany and the Aga Khan Development Network have developed a strong partnership, together investing close to € 600 million in programmes in Asia and Africa, spanning clean energy and infrastructure, water and sanitation, financial services and tourism, as well as education, health and civil society. Over this period, AKDN has worked especially closely with the German Federal Foreign Office and the Ministry of Development (BMZ) through KfW Development Bank and its commercial subsidiary DEG. In Afghanistan, with Germany’s support, AKDN has strengthened regional connectivity through cross-border infrastructure; improved the health sector through public-private partnerships; and restored Afghanistan’s rich cultural heritage at the Bagh-e-Babur and Chihilsitoon Gardens. The “Weiterdenken” event focused on the German-funded “Stabilisation Programme for Northern Afghanistan” (SPNA), which has programmed over € 100 million through local communities into some 430 projects, building trust, government legitimacy, and civic engagement. ”Stabilisation in Fragile Contexts: Challenges, Lessons and Opportunities” was organised by KfW Development Bank, the German Federal Foreign Office, Chatham House and the Aga Khan Development Network. The event provided an opportunity for AKDN and KfW to share the findings of a recent review of the Stabilisation Programme Northern Afghanistan (SPNA) and gather insights from a wide range of experts on the effectiveness of foreign assistance and actors working on stabilisation initiatives in Central Asia, the Middle East and Africa. Through in-depth discussions with a range of experts, the meeting sought to reflect on the challenges, lessons learned and good practice that can be built on in diverse country contexts. It is my pleasure to celebrate here today the special partnership between Germany and the Aga Khan Development Network, or AKDN. Over the past 25 years, we have implemented almost € 600 million of programmes together in Asia and in Africa - spanning clean energy and infrastructure, water supply and sanitation, financial services and tourism, as well as education, health and civil society. In all of this work, our relationship with the KfW Development Bank and DEG remains vital. And while AKDN has also cooperated with most of Germany’s development actors, I should especially thank the Federal Foreign Office and the Ministry of Development, or BMZ, for their key support. Tonight, we gather to recognise our shared commitments and achievements in Afghanistan, and reflect on lessons that might apply towards other contexts of fragility and crisis. We have also used an innovative programme of small, community-led infrastructure projects to encourage local people to take charge of their development. This Stabilisation Programme for Northern Afghanistan was the springboard for today’s conference and tonight’s dialogue. Over € 100 million has been programmed through community consultations into 450 projects, responding to the needs identified by local people as most important to them. These build more than infrastructure: they also build trust, they enhance government legitimacy and civic engagement. The first key lesson is to concentrate at the local level. Wherever the national conditions are unfavourable - in fragile or conflict situations they rarely are favourable - meaningful changes often start fastest locally, quickly building credibility and confidence. The second lesson is that commitment to pluralism is essential. The consultations must be wide, and everyone in the community must benefit. I have learnt this lesson during my more than 60 years as the Imam of the Shia Ismaili Muslims, responsible for the spiritual and physical well-being of my Jamat and - most crucially in this context - for those with whom they live, whatever their faith or creed. I look forward to the rest of tonight’s discussion and reflection on these important topics. The world needs Germany’s principled and pragmatic leadership role - now more than ever. As Germany reflects on the future of its commitment in Afghanistan and the nature of its engagement in other parts of the world, I hope that it will draw on these principles that have guided our cooperation together over such a long time - emphasising local participation, promoting pluralism and strengthening the institutions of civil society. Mawlana Hazar Imam spoke at a conference in Berlin, Germany on 15 January 2019, during an event focussed on stability and effective development in fragile environments. 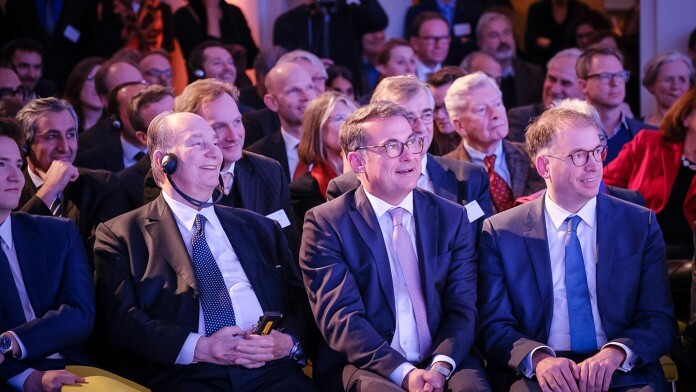 The evening event, entitled “Fragile States Thinking Ahead,” brought together leaders from the Aga Khan Development Network (AKDN) and German development partners, to share best practice and lessons learned on development projects in diverse contexts . 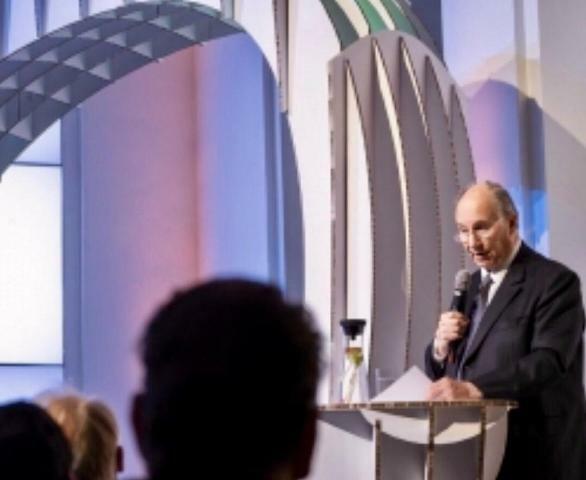 During the event, Mawlana Hazar Imam shared three important ingredients for stability and effective development in fragile environments, based on AKDN’s experience as well as his own experience as Imam: focus at the local level, the importance of civil society, and a commitment to pluralism. During his remarks, Mawlana Hazar Imam also commended the longstanding partnership of the AKDN and Germany, recognising their shared commitment to and achievements in Afghanistan, while also drawing upon the hallmarks of AKDN’s approach. He also reflected on lessons that could potentially be applied in other situations of fragility and crisis. The conference “Stabilisation in Fragile Contexts: Challenges, Lessons and Opportunities” was organised by KfW Development Bank, the German Federal Foreign Office, Chatham House, and the Aga Khan Development Network. The event provided an opportunity for AKDN and KfW to share the findings of a recent review of the Stabilisation Programme Northern Afghanistan (SPNA). Over the past 25 years, Germany and the Aga Khan Development Network have developed a strong partnership, working together on programmes in Asia and Africa, spanning clean energy and infrastructure, water and sanitation, financial services and tourism, as well as education, health, and civil society. NEW SPEECH of H.H. 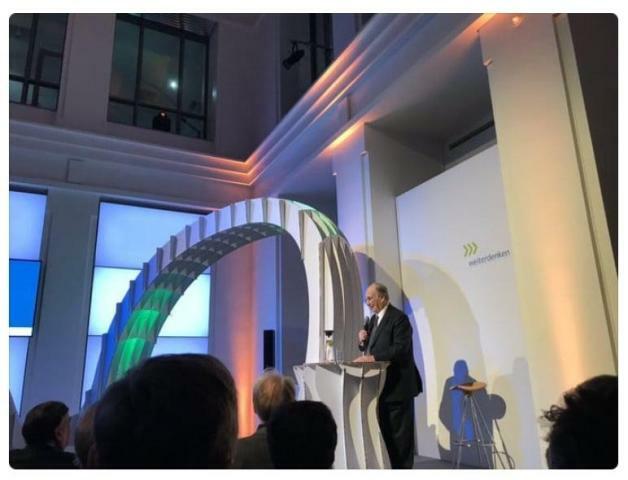 The Aga Khan in Berlin, Germany on 15 January 2019 at the "Thinking Ahead" Conference. Mowlana Hazar Imam said: "Over € 100 million has been programmed through community consultations into 450 projects, responding to the needs identified by local people as most important to them. These build more than infrastructure: they also build trust, they enhance government legitimacy and civic engagement." Prince Aly Muhammad does not need translation headsets as he speaks German.